The wait is almost over! 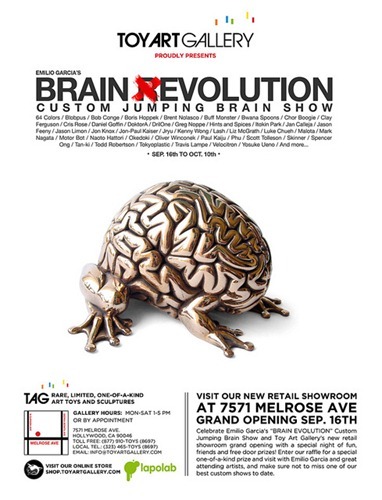 Soon Toy2R will be releasing the 5-inch DIY Jumping Brains to shops like us! 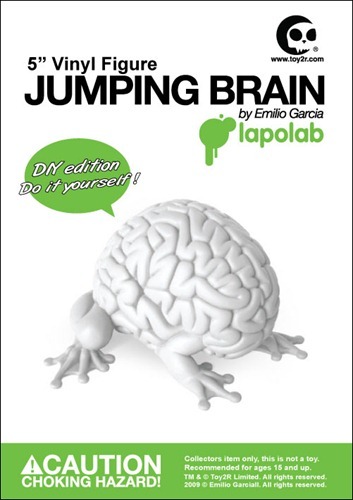 We've already had a ton of requests for these; please email us if you want to purchase a DIY Jumping Brain from us when we get our stock. We need to make sure we order enough to satisfy demand! They'll be $30 to $35 each. Big Kev's Geek Stuff is an awesome radio show with over 230 episodes under their collective belt. The show is run by Kev and Matt, two locals who have been extremely supportive of Tenacious Toys and lots of other local shops and artists that we call friends. Earlier today Studio B was broken into. Though it has always been a long running joke of the show, the studio has always been a personal space for myself or Kevin. In this case Studio B was Kevin's home. Along with some personal items of great value, all of the show equipment was stolen. Literally there is next to nothing left aside from the mic stands. Due to this we are sad to announce that the show is suspended. Until such a time as we can replace the equipment and the the lost files, production, etc... there will be no new full episodes of Geek Stuff. Fortunately, in this business, we all look out for one another, so George Gaspar of Toy Break/October Toys/OMFG/DCon fame is organizing a fundraiser to help fund the re-purchasing of the equipment necessary to run the show. Read more here to get involved. There will be eBay auctions at the end of September. You can donate items to be sold, or bid on the items. Either way, you will be helping. 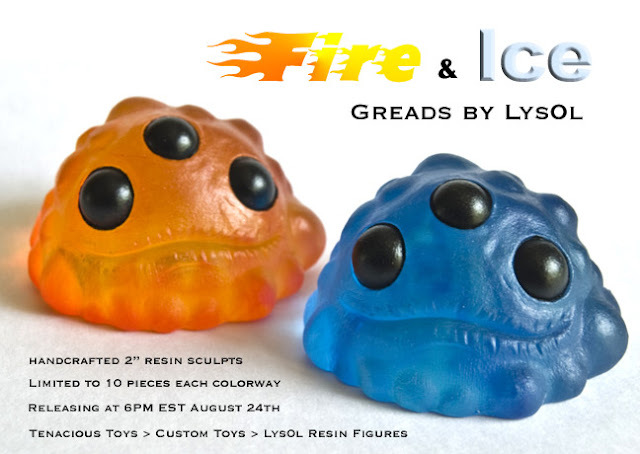 Tonight at 6PM EST in our LYS0L section, we will be dropping the latest Dead Hand x Tenacious Toys Exclusive Greads: Fire and Ice! With multicolor tinted resin in each colorway, these Greads are tiny beautiful works of art! Bagged & tagged, only 10 pieces of each colorway. $15 each. In a collaboration with Argonaut Resins based their Sneakerhead art toy, Cookies N Cream presents "The Argo Dunks". The Argo Dunks are a set of handmade resin Sneakerhead pieces crafted by our good friend and frequent collaborator - master sculptor Eric "Nocella" Diaz (END) of Argonaut Resins. The first set of 5 Argo Dunks are: The Strawberry Dunks, The Grape Dunks, The Green Apple Dunks, The Icy Mint dunks and a very special one - The Afghan Gold Dunks. 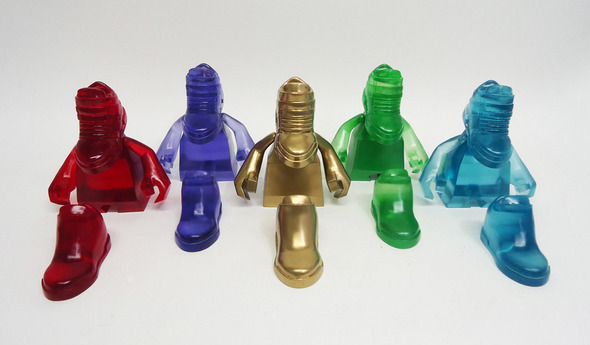 These are all exclusive pieces and each come with the regular head of the figure as well as the DIY head. The Sneakerhead figure itself has not been released to the public at large so these Argo Dunks are some of the first pieces of the figure ever to be sold. 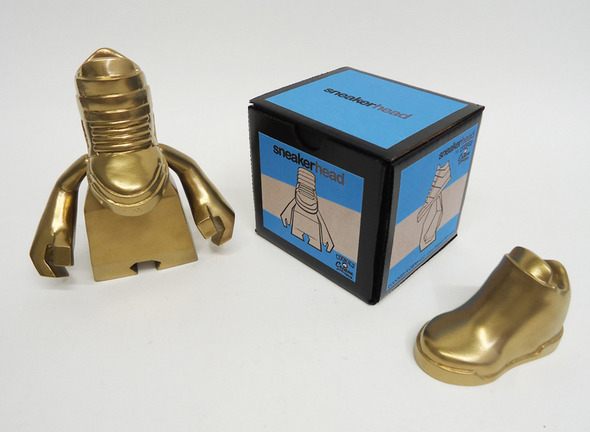 Each piece is $120 and also comes with a limited handmade custom Sneakerhead box. The set will be available for sale via the CNC online shop this Friday - August 26th 2011.